Representatives of municipalities of Moinesti, Vaslui, Suceava and Botosani (Romania) and Agency and Local Energy Efficiency and Environment have been signed on February 27-th, together with the Agency for Regional Development (ADR) in the North East, “a Memorandum of understanding in the field of sustainable energy and energy efficiency” . The event was held in the Business Centre and the Exhibition center Bacau, at the Regional Conference “Energy Efficiency Is a Prerequisite for sustainable development and competitive”. “We have started yesterday, Petropavlovsk - said Constantin Apostu, General Director of ADR North-East, an regional partnerships with local authorities, who showed interest to energy efficiency. We believe that will create an advantage in the preparation of some of the future projects, which will include a component of energy efficiency or energy. Of course, cooperation in this area must be fully completed and with representatives of private companies and those with whom we met, were opened to the creation of a platform of cooperation with the public sector at the regional level, especially for documentation in order to conduct the procurement procedures on the criteria, which includes innovations”. The element of novelty of the project was to approach public procurement as an engine for market consolidation solutions with low power consumption. 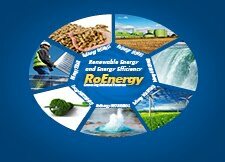 The project creates prerequisites for the consolidation of the effective solutions for energy, which creates benefits for local communities in the northeast of Romania and in terms of demand (savings for public authorities)and of the proposals (gains to the economy, regional and entrepreneurs active on this market). Document was developed in cooperation with experts in the field of acquisitions at national and European standards and was subjected to the attention of experts, certified in public procurement, acting within the limits of authorities of the Contracting States in the northeast Region.